Uniquely glazed & fired, Multi-Use dish. 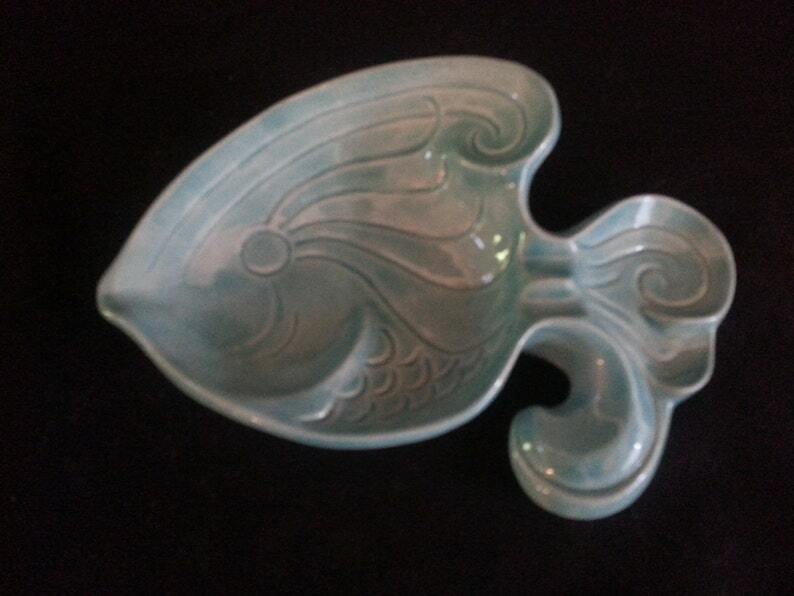 This dish is Lt. Turquoise. No two are alike, Indoor or Outdoor use. Only lead-free and food safe glazes EVER used! Unique Tropical Fish Ceramic Trivet 6" x 6"
Unique Tropical Fish Ceramic Platter 15"